Innovative studio space will be used by classes and by individual artists. The soothing sounds of Thelonious Monk on piano or John Coltrane on sax. Typically, that’s what could best be described as music to Jamie Breiwick’s ears. However, last week, the renowned trumpet player and Instrumental Music Teacher at TPS was delighted by sounds of a different nature – the hammers and drills in the Prairie music room. Facilities was busy overhauling Prairies recording studio, the remodel resulting in a new Music Technology Lab highlighted by state of the art drum pads, computers and MIDI keyboards. “Composing, electronic music, sound effects, video production – the kids can do it all on these things,” says Breiwick. The idea for a remodel came about when the campus computer lab Breiwick regularly uses – the CASE Lab in the SRC – was needed for a new Coding class. 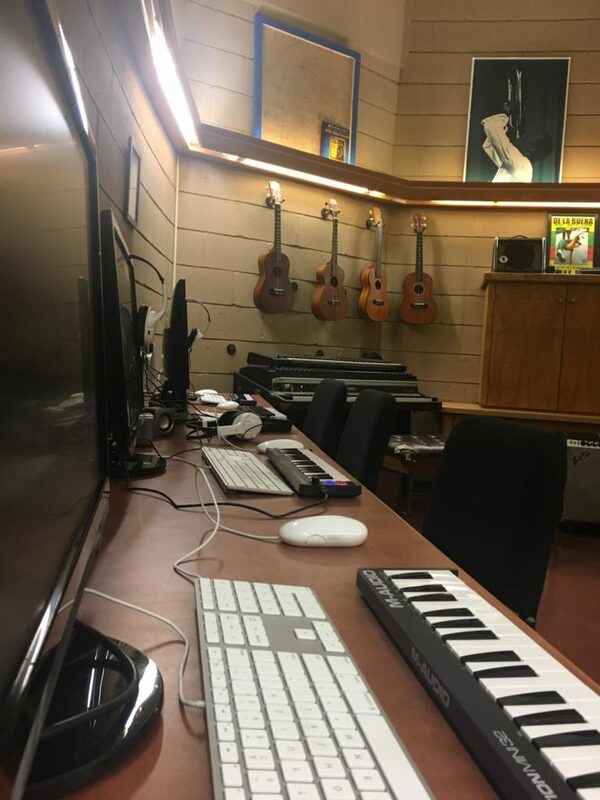 While the Lab will be used regularly by classes like 7/8 Electronic Media and AP Music Theory, it will also be the place Prairie’s aspiring musicians culminate to work on their craft.